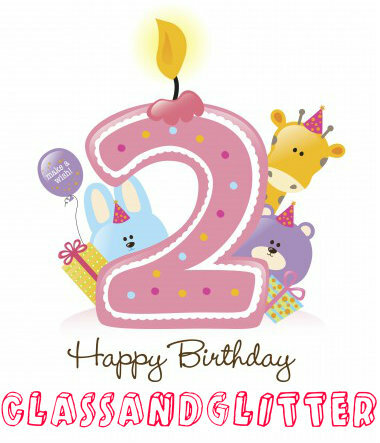 Its been exactly two years now since classandglitter made its debut, and my oh my how quickly these years have gone! I love every single thing about blogging and wouldn't change it for the world, thank you to every single one of you for reading and following me and here's to another 2 years! Today, I am talking about some things I have learnt about blogging over the years..
Never feel as thought you are obliged to write what other people write and always write what you want and you like. The YOU in this point has always been important to me and if I'm not happy with something then I won't talk about it or if I don't feel happy writing the post then I don't carry on writing it! This kind of goes with the point above, but being truthful in whatever you write is the most important thing. People don't want to read something that isn't true to who you are, being honest in your posts makes it much more easier to understand where you are coming from. Being stuck in a rut when it comes to blogging is normal and its not a bad thing if you don't post one week because the people who read your blog would rather read something that you've put loads of effort in rather than something short and unnecessary. This is something I have touched on before, but if you can't afford to buy all the latest releases then there is no problem! You can still blog on a budget and talk about the things that you can afford, look at more blog - its more drugstore than high end because that's my budget. Blogging is everyone's learning curve and no where on the internet does it tell you how to do blogging correctly because each person is unique and the way you write and talk is personal to you and that is what makes it more interesting to read. You don't want to stress yourself out about your blog, because to you and me it is meant to be a relaxing thing and something that we enjoy and getting stressed about it won't help you because then there isn't any fun in it. Even though, the words you write in a blog post are important the pictures you put on your posts are just as important. The picture you have at the start of the post is what draws people in and that is what sets the scene. I take so much take in taking my pictures and make sure that I take a little extra time editing them and selecting the ones that I love more. There are so many things I still don't know how to do and that's okay, I can still enjoy myself with the things I do know how to do. Blogging is a learning curve for us all and I learn everyday about the complicated things like SEO and my design and edit things. We learn from our mistakes so make an attempt and then try and try again. If you have an ugly spot on your face one day then it doesn't matter, if you're having a messy hair day then who cares..if you've forgotten to wipe the lipstick off you're teeth then its okay! There is no need to put on loads of makeup and cover yourself up, sometimes its okay to look messy! Your blog is about you and you are the editor, manager and creator. You need to think about yourself and what you enjoy not what everyone on the outside thinks because at the end of the day they come and go but you have to stay.